If you are with Skype version 6.9 or newer, and you are using a program (app) or a hardware device that connects to Skype, then you have most likely seen the message in the picture below. In this article I will explain what it means and I will share the information I have on the subject. We want to let you know that your ________.exe app will stop working with Skype starting in December 2013. Please see our FAQ for more information. If you are getting this message, then you are using a third party software (or a hardware device) that connects to Skype in order to provide you with some additional features. For example there are programs that can translate chat messages, or others that can change your voice, or record a call to a file. The message means, that all these apps (programs) will stop working sometime in December 2013. This is a planned event and affects all the programs that are using the so called Skype Desktop API. In 2004 certain program instructions were added to Skype. They are called Desktop API (the old name is Public API) and they allow the communication between Skype and other applications. As the name implies, this API works only with desktop software. Today however, the mobile software (and hardware) is becoming more and more popular and this is why Microsoft (the owners of Skype) have decided to retire this part of the program. At least this is what they say. The provided information doesn’t really make it clear whether or not there will be a new API, that will replace the old one by providing the same functionalities to mobile software. Instead we are only told that there will be changes, that will increase the call quality and the chat speed. I have also contacted the Skype support via email to ask about this, but unfortunately the response was basically a link to this page: https://support.skype.com/en/search?q=API (which is a list of articles including the word API, but also does not contain the answer). It will be pretty weird if they stop the current API without having a new one to replace it. If they do it, all the third party developers that have worked for months and years to create apps like ON AIR, Clownfish, Pamela for Skype and others, will be forced to drop everything and to find something else to do. If there is a replacement API however, they would be able to remake their programs using the new rules and functions. 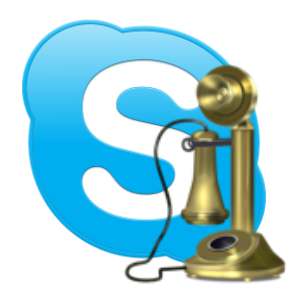 What about old versions of Skype? Most likely the old versions of Skype will continue to support the old API. But again, there is no official information on the subject. If you want to stop receiving the current message, you have to use a version older than 6.9. You will also have to stop the updates, which you can do by following these instructions. There is a petition in the site Change.org, that aims to support the idea of “continued support for third party Skype utilities that have become mission critical to Skype’s users”. If you want to sign it, you can do it on this page. If I find out something else, I will update the article. There is new information on the subject. It seems that some of the functions will continue to work, and namely the “call recording and compatibility with hardware devices”. And this will be until they “determine alternative options or retire the current solution”. I guess that means that at least the call recording programs will be able to work. And by hardware devices I suppose they mean for example the Skype headsets that have special buttons for starting a call and so on.